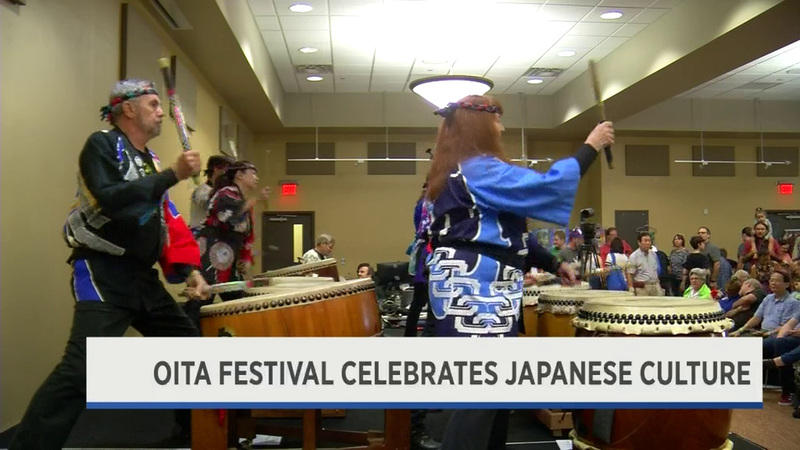 Watch highlights from the 2018 Oita Japan Festival and Austin-Oita Sister City Committee Chairperson Kristie Bryant talk more about the different activities at the festival! Austin-Oita Sister City Committee Board Member and 2018 Oita Japan Festival Chair Elise Krentzel and Kinokuniya USA Regional Manager Shigekazu Watanabe talk to Lauren Petrowski and Amanda Salinas of Fox 7 Austin on Good Day Austin. Austin-Oita Sister City Committee (AOSCC) Chairperson Kristie Bryant and AOSCC Board Member and 2018 Oita Japan Festival Chair Elise Krentzel talk with 2018 Oita Japan Festival emcee and host of The Community Pilot Show Greg Ciotti. Austin-Oita Sister City Committee (AOSCC) Chairperson Kristie Bryant, AOSCC Board Member and 2018 Oita Japan Festival Chair Elise Krentzel, and Friend of AOSCC Miwa Gardner-Page talk about the Oita Japan Festival and living in Japan on KUTX 98.9 Eklektikos with John Aielli. Austin-Oita Sister City Committee Board Member Susan Hammons talks about the 2018 Oita Japan Festival and Rhonda Rolf of Central Texas Chado demonstrates tea ceremony on We Are Austin.